Is your animal rescue group looking to raise funds for your works? Have you had a Dog Walk Fundraiser yet? It’s a fun way to raise funds for your group, and it can become an annual event, drawing a bigger crowd each year. 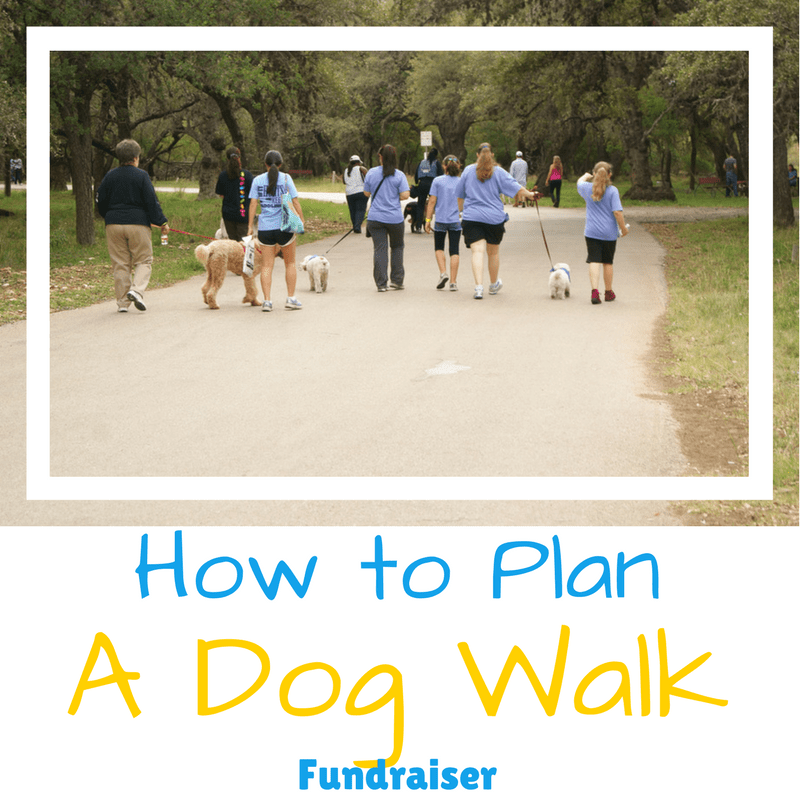 There are lots of ways to have a dog walk fundraiser, you just need to decide the type that fits your group’s style and venue. To really draw a crowd, and do some blatantly confusing advertising, name one of your adoptable dogs Naked. Get a local celebrity, newscaster, public official, etc. to “Walk Naked” at the event. Advertise the heck out of it. And don’t forget your social media. It’s a great free way to get a lot of advertising for your fundraising events. Come up with a cute name for the event. And pick a date. The spring or fall would probably be best for this event, to avoid the overheating of the participants and their furry friends. Make a day of it, find a venue big enough to combine lots of happenings at the same time. Sell spaces for food vendors, other vendors, exhibits, vaccination clinics, etc. Have kennels, and staff to rent out kennel space for when the dogs need naps. Dog washes, cooling off spots are always good too. Especially during warm weather. Set up a stage for a dog show, doggy talent show, etc. Or where homeless animals can be showcased before and after the event. Invite other animal rescue groups to showcase their adoptable animals too. Add in any other type of fundraiser that fits with the event. Such as reverse raffles, Chinese Auctions, 50/50 drawings, kiddie carnivals, etc. Have adoptable animals available to experienced dog participants, who don’t currently have a dog to walk. A good way to help pair them up with a dog they may then adopt! Always makes sure all dogs are securely leashed and under control by their handlers. Plan out a good route for the dogs and their handlers to walk, either in laps or just once. Your course will depend on which type of dog walk that you plan to use. During events like this, it’s always a good idea to have extra, experienced dog handlers on hand. The public loves to show off their dogs, but not every dog owner is experienced. Have volunteers handy who can help out in a pinch. This is my favorite kind. I feel it’s more fun, for those who can’t handle such long distances, and for those who like to challenge themselves and their dogs. Each participant and their dog solicit donations for how far they can walk. Such as $5/lap around a set course. At the end of the event prizes can be awarded to the pair with the longest distance walked together. To hold a dog walk fundraiser with an entry fee per couple (dog and their handler), there’s simply a single entry fee for each participant. Then the distance would be a set walk, a lot do 5k. But that seems a bit extreme to me when I think about my older dogs lasting that far. A shorter distance might draw more participants. Make sure your group gets any permits, insurance, and release of liability forms that may be needed for the events you’re hosting.